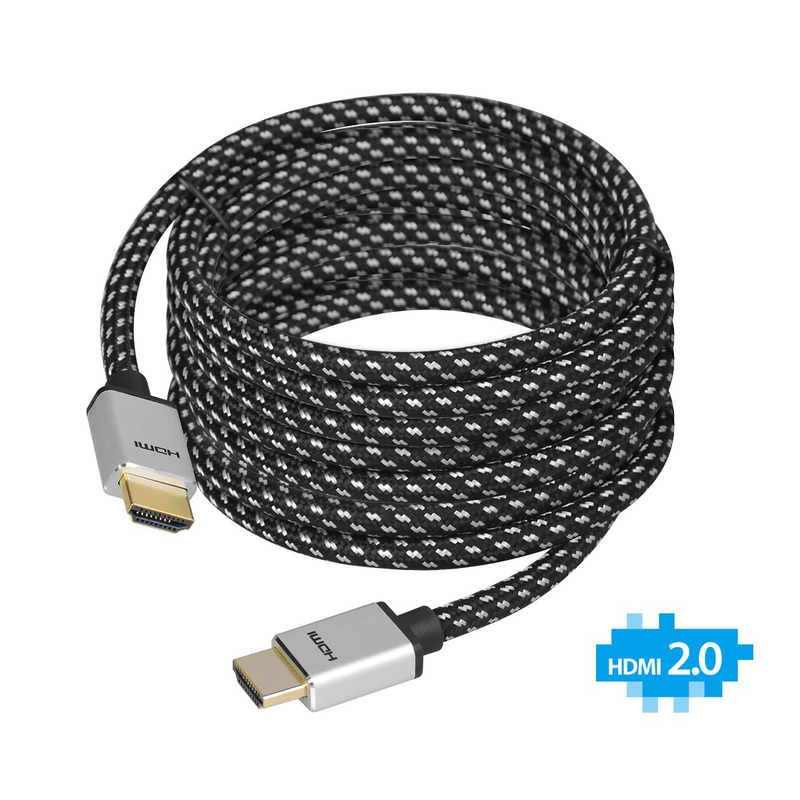 HDMI 1.3 vs HDMI 1.4 vs HDMI 2.0? What are the differences? HDMI stands for High Definition Multimedia Interface and it is an interface to transmit high quality uncompressed video data and compressed or uncompressed digital audio data. 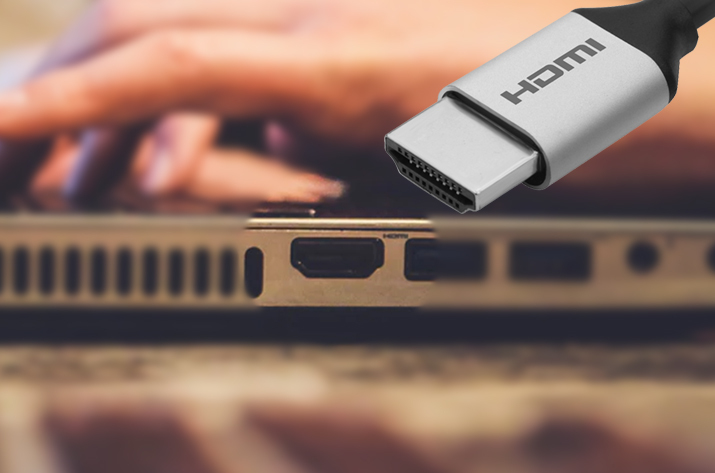 With the fast growing technology, HDMI launched multiple versions with different functions. 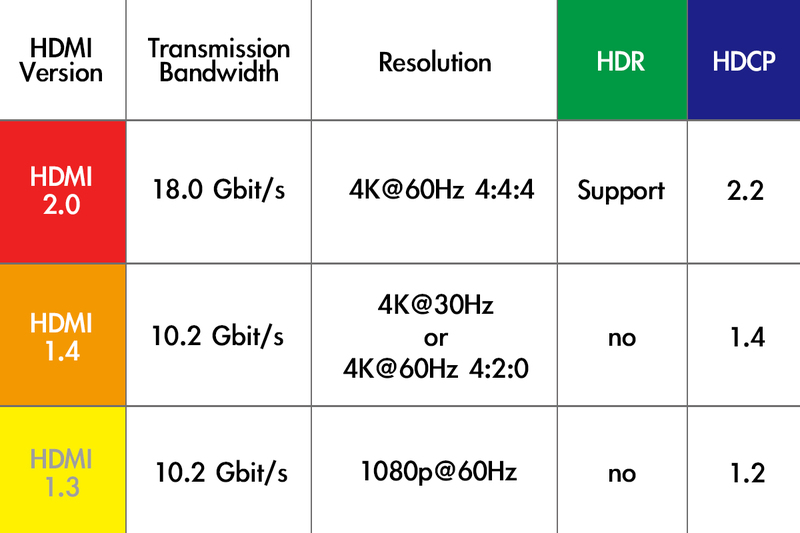 The table below shows the frequently seen HDMI specifications among audio and video related products. HDMI 1.3 is the most fundamental version carries 1080p. The version of HDMI 1.4 was the start of 4K resolution. Attribute to low transmission bandwidths, HDMI1.4 can only carry 4K@30Hz or compressed 4K@60 4:2:0 instead of 4K@60 4:4:4. This version is at the transitional period of 4K. It should be noticed that 4K is the version of HDMI 1.4 or HDMI 2.0 while purchasing related products. 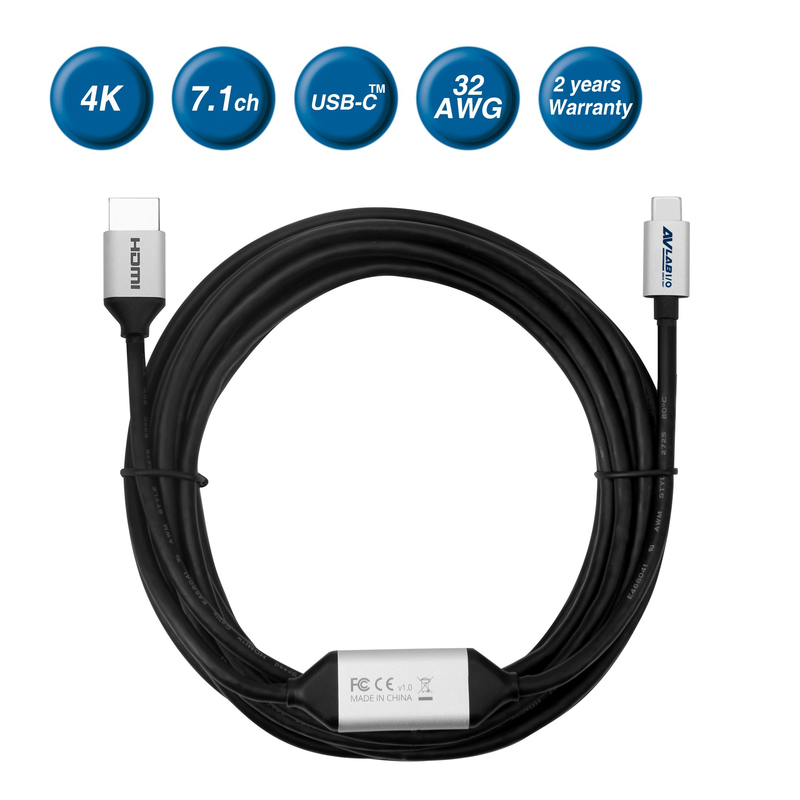 HDMI 2.0 version carries 4K@60Hz 4:4:4 and it also supports HDR function. It’s important to know that screen monitors do not support HDR function and only some TV do. HDR stands for High Dynamic Range, which is a technology to increase luminosity to reproduce a great dynamic range. Only TV supports HDR function. There are two formats of HDR, HDR10 (HDR 10+) and Dolby Vision. HDR 10 is an open format but Dobly Vision isn’t. TV manufacturers need to pay licensing fees for Dolby Vision compatibility so this makes HDR 10 more common among products with HDR. But Dolby Vision has relatively better specification as its format has dynamic metadata. 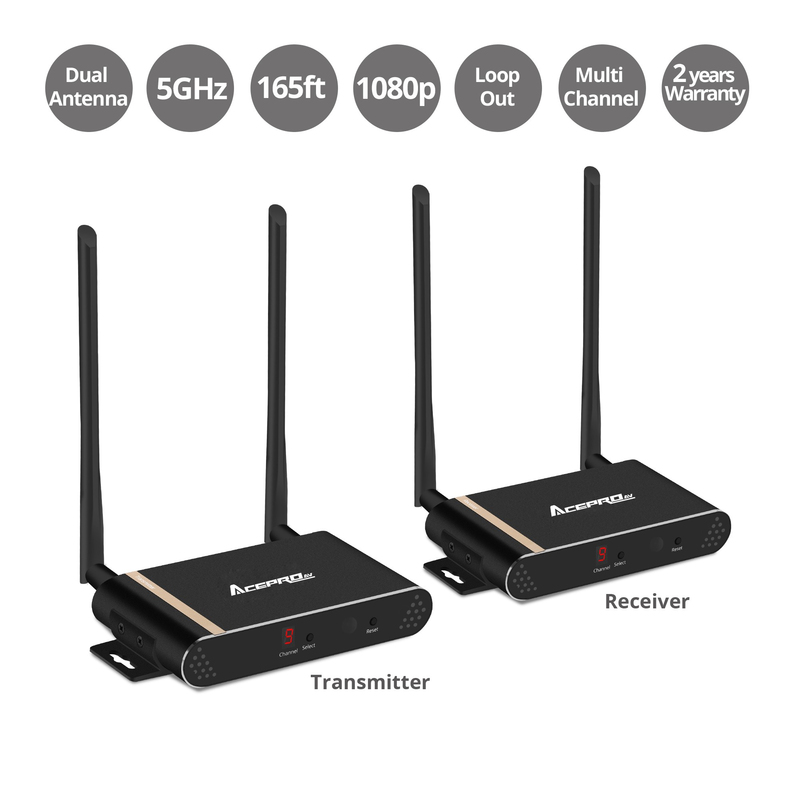 HDCP refers to High-bandwidth Digital Content Protection, which is a form to protect digital video and audio contents from unauthorized duplication as input sources travel across connections. It can roughly be divided into 1.X and 2.X versions. Images cannot be displayed if the specs are different. For example, 4K UHD BD with HDCP 2.2 cannot be displayed on screens with HDCP 1.X.